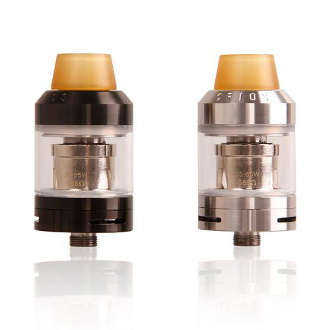 The Crios Sub Ohm Tank is a 4ml tank designed by Innokin with a stainless steel and glass construction. It has a twist off cap for a convenient top fill method. At the bottom are triple airflow slots for a super controlled air intake depending on the user’s preference of inhalation. On top of the tank is a ULTEM wide bore drip tip that has a higher melting point and handles heat like a champ for the user’s extreme satisfaction and comfort!